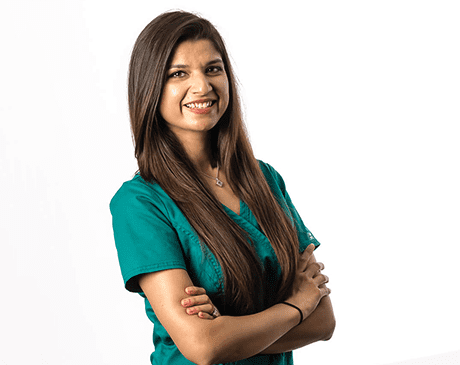 With her extensive expertise and caring bedside manner, Anika Paul, DPT, is a trusted physical therapist at Peak Medical in Berkeley Heights, New Jersey. Dr. Paul earned her bachelor’s degree in biology from Queens College in New York City. During her undergraduate studies, she maintained a 4.0 GPA in all of her science classes, earning her a special recognition award by the college’s biology department. She also worked as a physical therapist aid during college, which further paved her way to graduate school. Ultimately, Dr. Paul went on to earn her doctorate in physical therapy at the New York Institute of Technology. Throughout her doctoral studies, Dr. Paul gained extensive experience while interning in pediatric, geriatric, sports orthopedic, and acute and sub-acute care practices. At Peak Medical, Dr. Paul is in charge of reviewing physician referrals and patient medical records. She collaborates with team members to design personalized treatment plans for patients based on their diagnoses and physical abilities. During evaluations, Dr. Paul screens and examines patients and performs various tests to design physical therapy treatments. When she’s away from the clinic, Dr. Paul enjoys traveling, dancing, and cooking. She prioritizes spending as much time as possible with her husband.